This title focuses on the behaviors necessary to succeed in the dog-eat-dog world of fiction writing by asking successful authors how they practice their craft. Readers will learn how to adopt those habits on their quest to become novelists. The book will inspire, nourish, and provide the needed kick in the pants to turn the wannabes into doers! 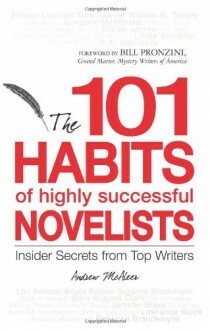 The 101 Habits of Highly Successful Novelists is full of aha" experiences as the reader uncovers the collected wisdom from the cream of today?s fiction writers." A book with some very good albeit basic advise. Great for beginning writers.